Igal and I took the sleeper train from Budapest, Hungary to Prague, Czech Republic. 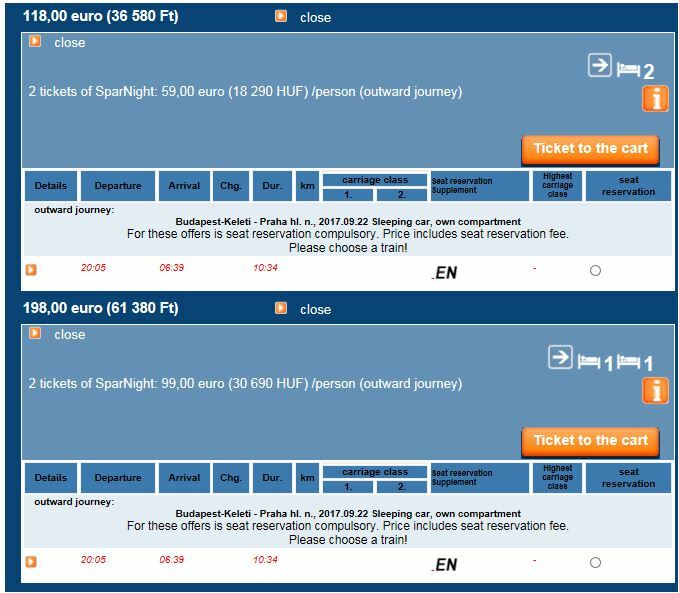 If you’ve decided to travel the same way between these two cities/countries, below is a guide on booking a private compartment for 2 people using the Hungarian Railways Website. Then click on Tickets and Prices. No need to fill-up return journey unless you need a roundtrip booking. Negative – the system will tell you that there is no offer available. This could either be because the online offers are sold out or it was not offered online at all. You can try to purchase the ticket at the station or see other possible workarounds by visiting Mark Smith’s seat61 write up on this sleeper train travel. Positive – the system will give you available offers. Continue to #6 if you get a positive result. Double check the arrival time in Prague. Get the one that arrives past 6am. There’s another one that arrives in Prague at past 4am. Click on Ticket to the Cart once you’ve made your final selection. 8. Purchase the ticket by signing in or registering. 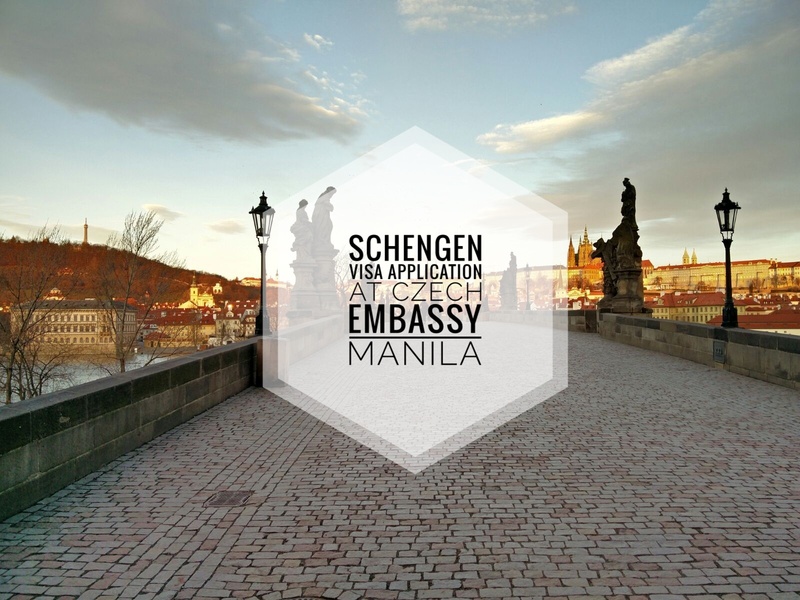 Registration is straightforward, just follow the instructions given by the system. 9. Once signed-in, you’ll see the booking you made. Scroll down to the bottom and click Pay. The system will guide you through the payment steps. This is also straightforward. The system instructions are very easy to follow. 10. 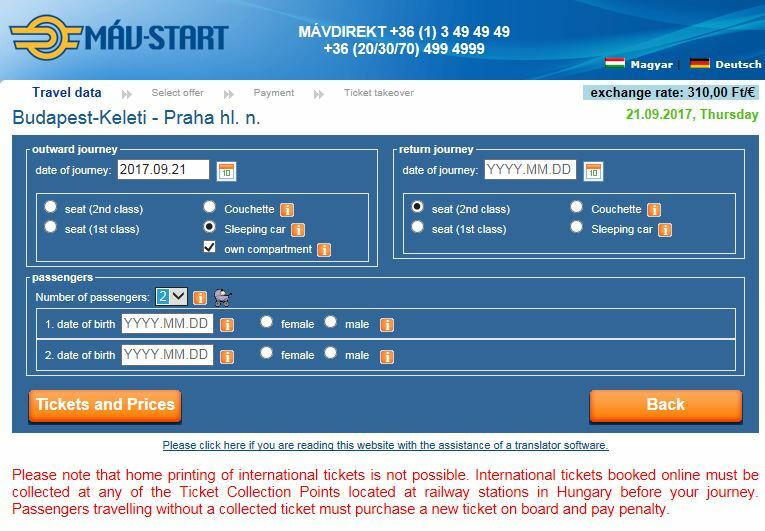 After payment, you will get a reference number which you will use in yellow machines found in major Hungarian Railways stations to print your tickets. THERE IS NO PRINT-AT-HOME OPTION. YOU MUST COLLECT THE TICKETS AT STATIONS IN HUNGARY. If you are a solo traveler, booking works pretty much the same way. You can book 1 bed in a couchette or sleeper compartment. You’ll pay only for the bed you are booking and you’ll be sharing the compartment with other travelers. If you want privacy and to have the compartment by yourself, booking will be like as enumerated above but for 1 passenger, which will give you only the Single as available offer. That’s it! You’re now ready to go. Happy traveling!